The candidates are divided into groups at least 6 and max. 9. 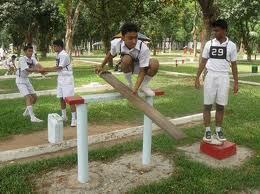 The main aim of these tests is to examine the abilities of coordination and team working. In this test self confidence as well as the behavior of the candidate is examined by G.T.O. In this test self confidence as well as the behavior of the candidate is examined by G.T.O. The group discussion or group discussion task has assumed great importance. 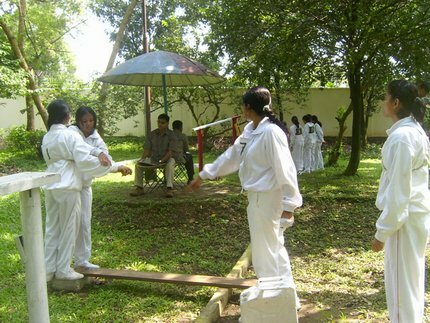 In the Group Testing Officer Task or G.T.O Task, the candidate creates the first impression on the Group Testing Officer (G.T.O) and other members of his group. The good performance of the candidate in the task of group discussion creates a good impression on the Group Testing Officer, and enrich his role in subsequent group tasks. As first impression is the last impression, hence the candidate must try his best to show his worth in group discussion.During group discussion all candidates are arranged to sit in a circle. In the beginning every candidate introduces himself, like which city he belongs to, his educational qualifications, hobbies etc. Thereafter, the group discussions exercise begins. In this task, usually, two subjects are read out to the candidates and they are required to choose one of them for the sake of discussion. The subject which is agreed upon by the majority of the candidates is accepted by the Group Testing Officer for discussion. 1. Carefully listen to the briefing of the Group Testing Officer. 2. Take interest in the discussion and remain very active during the discussion. 3. Try to understand the topic first and make your effort to take lead in determining the choice of the subject. 4. Talk with confidence to the whole group looking in the eye of each candidate, and you must not keep looking at the Group Testing officer. 5. Do not be rigid in your ideas, must accept criticism with open mind. 6. Co-operate with others in friendly manner. 7. Remember its not the command of English language checked during this discussion, do not hesitate even if you are making grammatical mistakes. In this test a problem is on a model is explained by G.T.O and candidates have to solve the problem with in a time limit. Candidates can discuss with each other. In this test the group of candidates has given a task in a specified area and one of them is appointed as commander and they have to pass through an area having hurdles and outbound areas, All candidates are appointed as commander one by one according to their chest numbers. When a candidate is appointed as commander G.T.O. takes a light interview of the candidate including question about his activities, education, intelligence and family back ground some times this interview is same as the interview takes by the Voice President. Always cooperate with your fellows and do not be a part of leg pulling and imposing your suggestions and orders on your fellows because forces are the name of coordination and team work.